Update v.1.2.2 for the Denon DJ SC5000 and update v1.2.1 Engine Prime expands on database performance and features. With this update, we can now update the SC5000 by using a thumb drive or SD card. In this article, we'll discuss the latest changes to the system, where to find the updates, and what you'll need to know before digging in. How do I update my SC5000/M? Do I need to update my X1800 Prime? Do I need to update both the software and firmware? What new features have been added to SC5000/M with the v1.2.1 update? What new features have been added to Engine Prime with the v1.2.1 update? Where can I download the latest update? 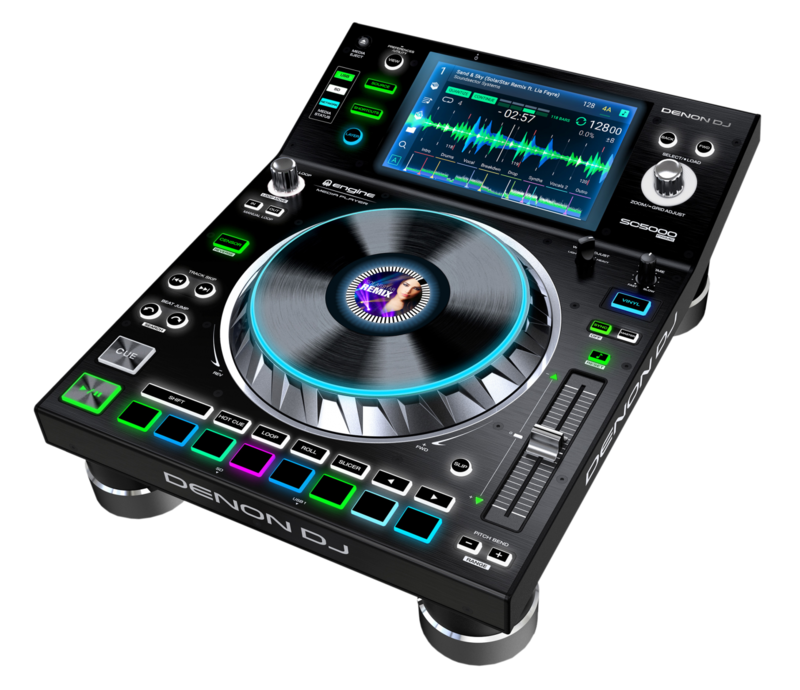 Any SC5000/M and Engine Prime user can find the firmware and software updates right on their respective product pages (under the Downloads section), as well as under their product registration in their Denon DJ account. No, this update is only necessary for the SC5000 and Engine Prime software. However, please make sure that you have updated your X1800 to the latest v1.1.1 firmware, also found on the respective product page under the Downloads section. Yes. The SC5000 and Engine Prime software will share features involving the database and file handling. Both the firmware and software will need to be updated to ensure that your data is properly handled by both and you can enjoy all the new features and bug fixes. As of this release, the latest updates are v1.2.2 for the SC5000 and v1.2.1 for the Engine Prime Software. What new features have been added to the SC5000/M with the v1.2.2 update? Increased the scratchable/playable empty space before the start of the tracks. Fixed an issue where a small percentage of players would lock up either immediately after booting or a few seconds after loading a playing a track when running 1.2.1 firmware. The update also includes a number of small bug fixes and stability and handling improvements. For a complete list of changes, please refer to the documentation included with the update in the download. iTunes, Traktor and Serato parent crates/folders are now draggable to the Collection. Serato playlists now show up in their original Serato order. iTunes import speed is now faster. Album art now takes up less space in the database. Loop controls now default to Auto / Jump for quicker navigation through tracks. MCX8000 DB export support. Engine Prime now supports one directional database conversions to legacy MCX8000 format.